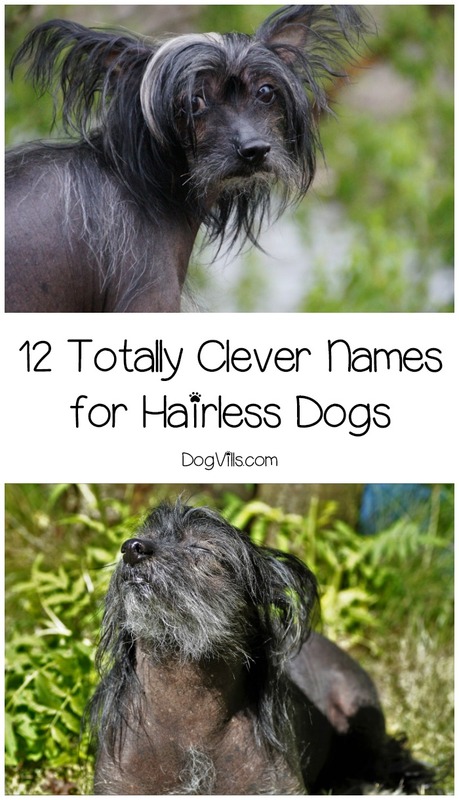 We had so much fun coming up with these names for hairless dogs! If you’ve recently adopted a Chinese Crested, Xoloitzcuintli, or one of the other hairless breeds, take a peek at what we’ve come up with for clever names! Some are obvious (Baldy, anyone?) and some are totally ironic. When you have a dog with such unique characteristics, you definitely have a lot to work with! Check out these 12 ideas! Baldy- Baldy is a common nickname for a man with a bald head. The nickname baldy is normally used as a greeting for a close friend. Calvin- The name Calvin is from Latin origin, meaning bald or hairless. Bet you didn’t know that! Cueball- A cueball is known as the ball that a player hits in a game of billiards or pool. It is also a slang term for a man with a bald or shaven head. Fabio- Fabio Lanzoni is an Italian fashion model and spokesman who has long hair. Naming a hairless dog Fabio is kind of hysterical. Kojak- Kojak was a popular crime drama television series that aired for 5 seasons, from 1973 to 1978. The series starred Telly Savalas, as Lieutenant Theo Kojak. Savalas was best known for his bald head and his deep voice. Bruce- After Bruce Willis, one of the most famous and, let’s be honest, cutest bald men in Hollywood! Sinéad- After Sinéad O’Connor, who has donned a bald head for most of her career. Lady Schick- Schick is a line of razors for women and includes Schick Hydro Silk, Schick Intuition, Schick Quattro and Schick Xtreme 3. Lady Schick is a hilarious name for a hairless dog. If you don’t love this one because it’s just too obvious, here’s an idea for a more name-like name that still incorporates the irony: name her Lady Chic instead! Ajuma- One of the most famous bald models and 2003 Miss Nairobi winner. Farrah- Like Fabio, this one is totally ironic, since Farrah Fawcett is pretty well-knon for her luxurious locks! Venus- Both the goddess of love AND a brand of razors. So it’s ironic yet also fitting! Sofia- After young actress Sofia Vassilieva, who beat out all of the other actors auditioning for the role in My Sister’s Keeper because she was willing to shave her head! While some of these names for hairless dogs will require a bit of back story or explanation (especially the female names), you have to admit that they are clever! Of course, you could go totally ironic and come up with fun spins on your favorite shampoo brands! Think Pantena instead of Pantene, or Rico Sauve (for Suave shampoo, but pronounced with the long “a” sound for the “e”). Do you have any of the hairless dog breeds? What name did you go with? Share below!